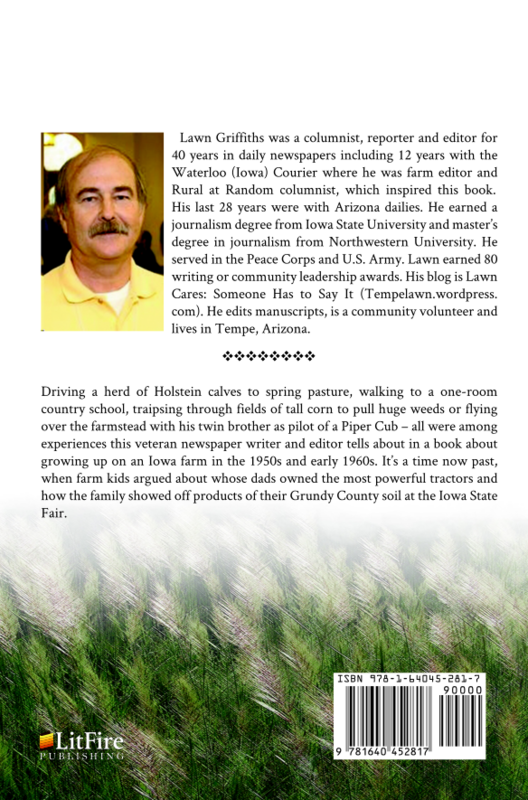 Driving a herd of Holstein calves to spring pasture, walking to a one-room country school, traipsing through fields of tall corn to pull huge weeds or flying over the farmstead with his twin brother as pilot of a Piper Cub – all were among experiences this veteran newspaper writer and editor tells about in a book about growing up on an Iowa farm in the 1950s and early 1960s. It’s a time now past, when farm kids argued about whose dads owned the most powerful tractors and how the family showed off products of their Grundy County soil at the Iowa State Fair. 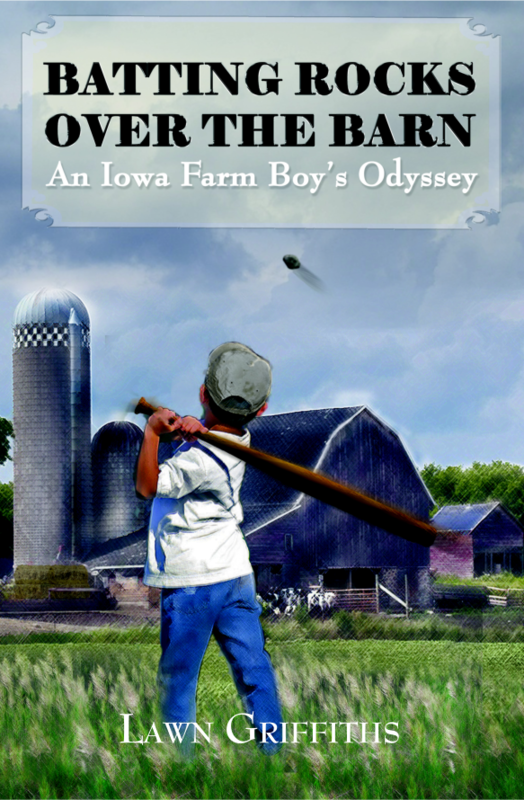 Lawn Griffiths was a columnist, reporter and editor for 40 years in daily newspapers including 12 years with the Waterloo (Iowa) Courier where he was farm editor and Rural at Random columnist, which inspired this book. His last 28 years were with Arizona dailies. He earned a journalism degree from Iowa State University and master’s degree in journalism from Northwestern University. He served in the Peace Corps and U.S. Army. Lawn earned 80 writing or community leadership awards. His blog is Lawn Cares: Someone Has to Say It (Tempelawn.wordpress. com). He edits manuscripts, is a community volunteer and lives in Tempe, Arizona.